We are celebrating officers, if any officer comes into MOD in uniform or shows their badge they will receive 50% off their order (excluding beer & wine). Celebrate Valentine’s Day with CKP. 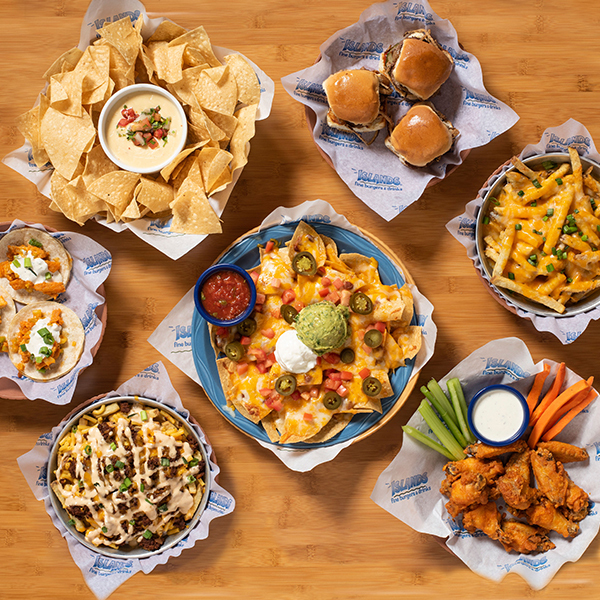 The Sweet Meal Deal will run from February 13th through the 17th, will include one appetizer, two entrees, and a dessert for $35. Pizzas will also be offered in the shape of a heart! When you come into MOD Pizza and purchase a MOD size pizza or salad and mention the promotion you will get a free 24 oz fountain drink. A painting date night at Pinot’s Palette is an unforgettable Valentine’s date – it’s unique, creative, and romantic. Buy 3 Seats, Get One for 50% Off, February 9-16, 2019, Online Registrations Only. Need a Valentine’s Day gift for that special someone? If you pre-order one dozen chocolate covered strawberries from Rocky Mountain Chocolate Factory before 2/10 you will receive a free caramel apple up to $7.95, a free heart shaped box for their berries, and discounted berries. All of January at Rocky Mountain Chocolate Factory buy any 3 caramel apples, get 1 free. Receive 20% OFF when you become a new active living rewards member! California Pizza Kitchen has partnered with the California Fire Foundation to host a nationwide fundraiser in support of the communities and firefighters impacted by the recent California wildfires. 20% of food and beverage sales throughout the day will be donated. To participate and have a portion of your check donated, present this flyer or simply mention you’re dining to support the CA Fire Foundation! The Holidays Have Arrived! And so has holiday catering at CPK! From 12/6/18 through 1/6/19, cater your holiday, New Years, or general event with us and receive special discounts. Give the gift of sushi and treat yourself at the same time. For a limited time only, when you buy a $100 Kabuki Restaurant e-gift card, you will receive a $10 Thank You gift card for yourself! There is nothing better than kicking off the holidays with a big spread of sushi! Starting December 1st, receive a $10 Thank You gift card when you purchase a physical gift card in-store at any Kabuki Japanese Restaurant location. Please see below for terms and conditions. Everybody Wins on Cyber Weekend! Buy $50 Gift Certificate, receive $10 credit for yourself. Special for Cyber Weekend only November 23-26. Click here fore more details. Have you heard about a lot about Orangetheorgy and have always wanted to try a class!? Take advantage off this special offer for a FREE FULL BODY workout at the Huntington Beach Bella Terra Studio. Give them a call at 714.780.2350 to set up your appointment today! Now through the end of the year, you can enter for a chance to WIN a trip to HAWAII for you + 1 friend! All you have to do is become an Islands Rewards Member to enter - OR - if you're already a Rewards member, every visit between now and December 31st is one entry to win! Visit islandsrestaurants.com for details and official contest rules. Don’t miss out on a special sale event this weekend only! No Rest For Bridget invites you, friends, and family to enjoy 20% off the entire store! Restrictions apply: Nov. 9 - 12th only, please see store for details. Come visit Lorna Jane to shop the new collection this fall! Stop by and shop this amazing YES YES YES Labor Day sale only at Lorna Jane. Enjoy 50% off on select styles, Monday, 9/3/18 only! Certain restrictions apply, please see in-store sale staff for details. Visit Lorna Jane to shop the new July Collection. Shop all our of on sale items, and receive an ADDITIONAL 20% off each item already marked for sale! Lorna Jane: Bra and Tank Specials! Head to Lorna Jane and shop bras and tanks for only $45.00 for a limited time! *Selected styles only, see staff for details. Lorna Jane: Select Style Sale! For a limited time, find select styles at Lorna Jane for 30% off! * selected style only, while supplies last. 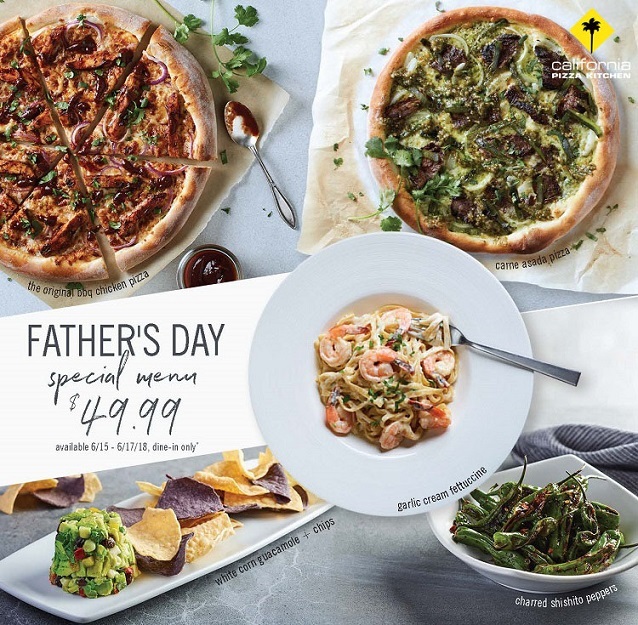 Bring in Dad from June 15th – 17th for a special prix fixe menu for $49.99*. *Price excludes beverages, tax, and gratuity. No modifications or substitutions. Cannot be combined with any other offers. Dine-in only. Cheers to the World Cup! Come root for your team during the 2018 World Cup at Islands Restaurant at Bella Terra! *In the bar & patio only.